ST. GEORGE — The No. 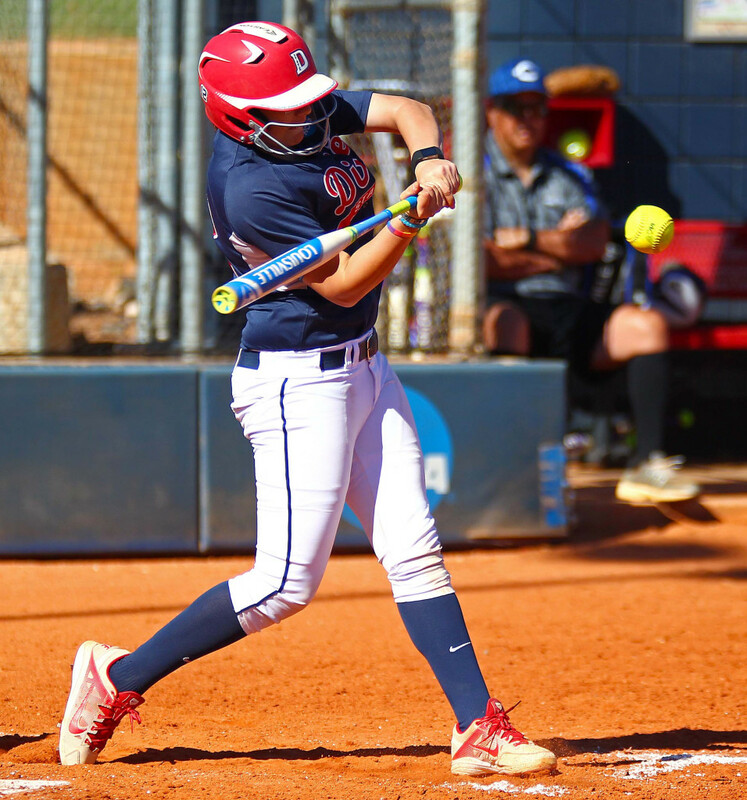 14-ranked Dixie State Softball team extended its winning streak to 12 games with a doubleheader sweep (8-0 and 16-4) over Chaminade Wednesday afternoon at Karl Brooks Field. 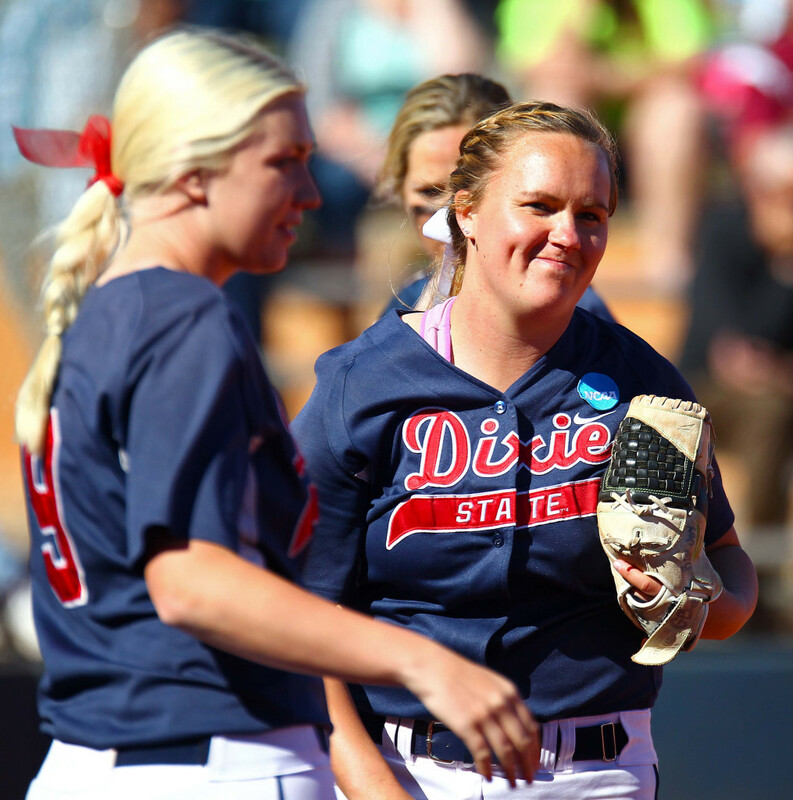 Starter Aryn Feickert pitched a no-hitter in the first game and the Storm defense was error-free in both games. 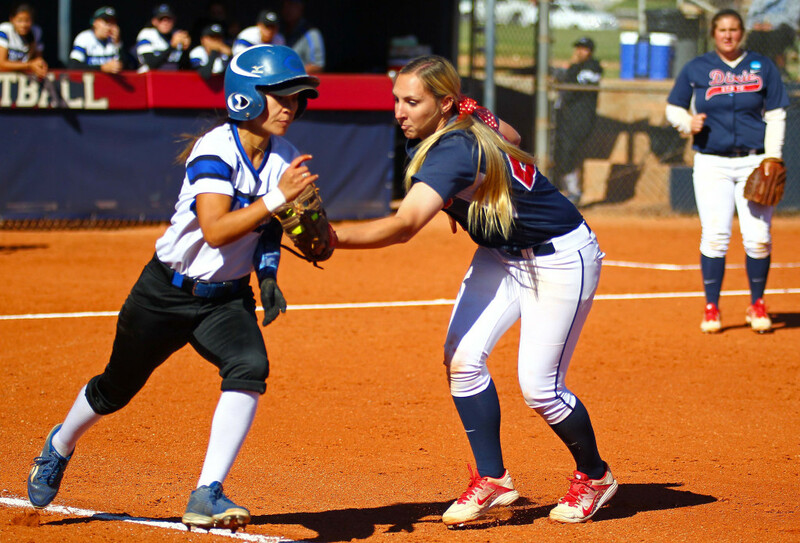 The Storm put up eight runs in the shortened first game. 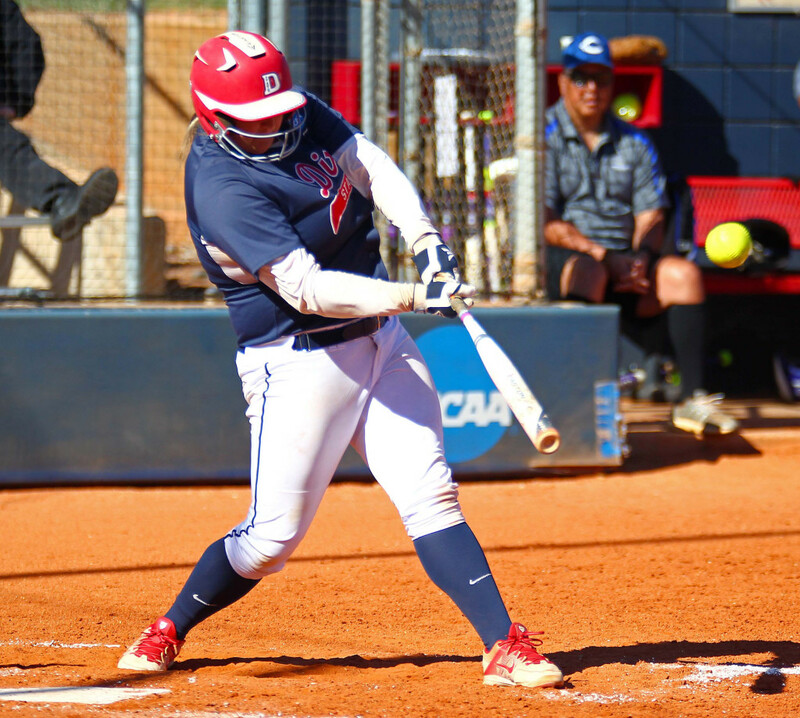 Catcher Autumn Woodfall had two home runs and the Red Storm (25-7, 13-3 PacWest) pounded out 27 hits with no errors on the day en route to the sweep. Neither team could get on the board in the first two innings. 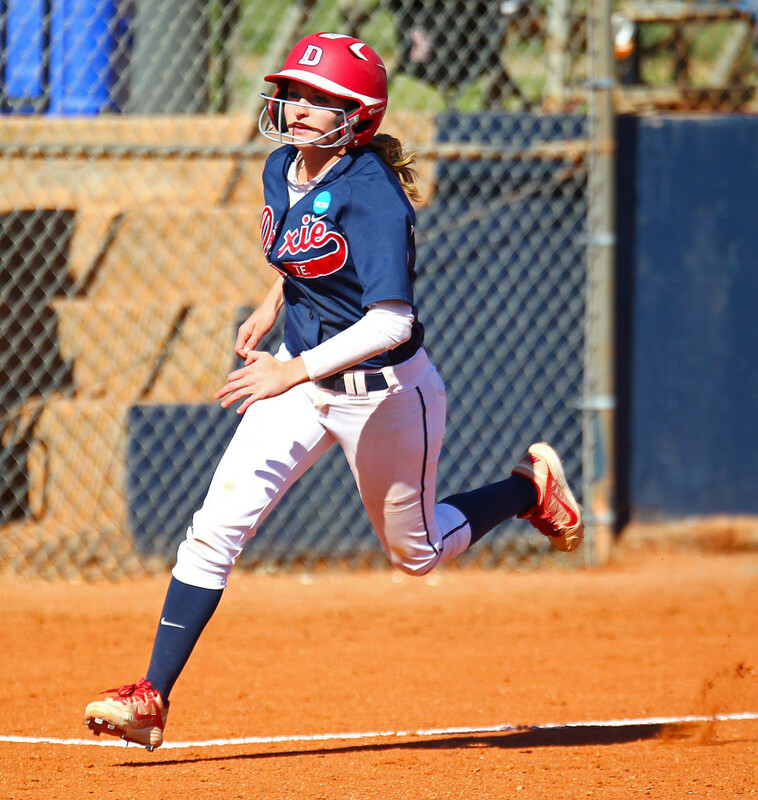 Janessa Bassett’s double in the third inning scored Josey Hartman for the first run. 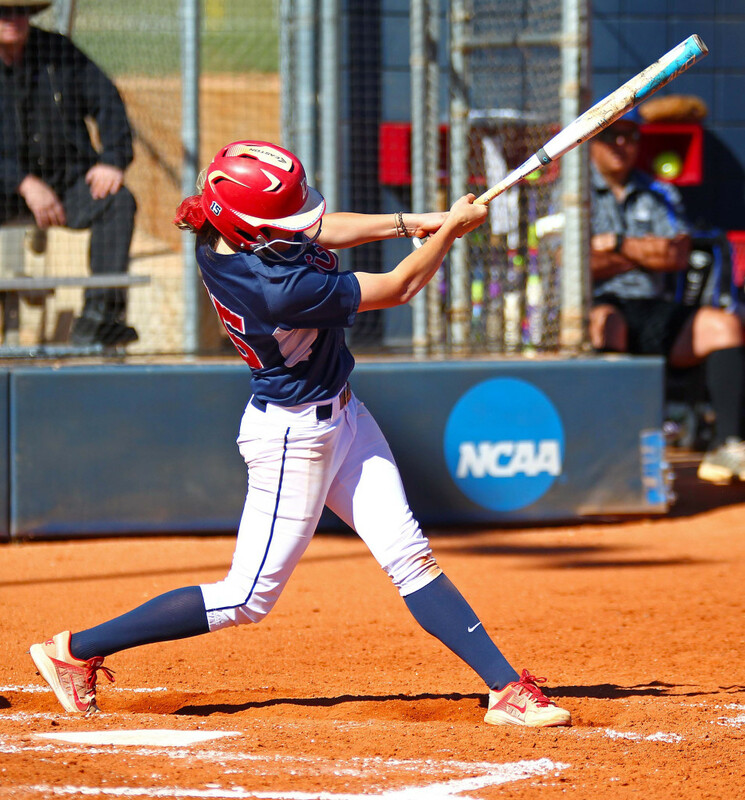 Woodfall hit the first of her two homers in the fourth. The solo shot to left field put the Storm up 2-0. In the fifth, the Storm put up four runs. Bassett singled then stole second. Shelby Yung then singled. 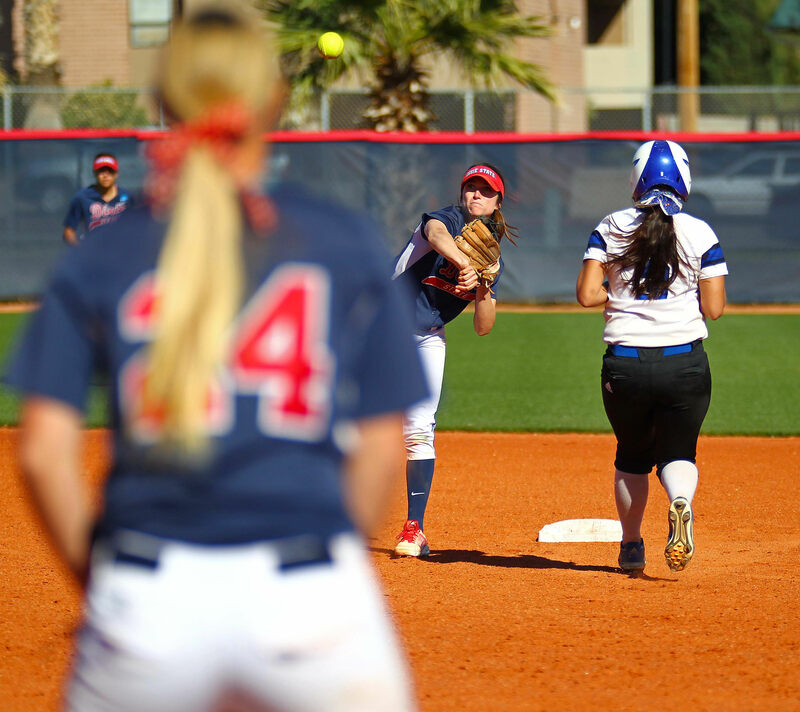 A throwing error advanced her to second and scored Bassett. Jessica Gonzalez then singled, advancing Yung to third. Mallory Paulson sacrificed to center field to score Yung. 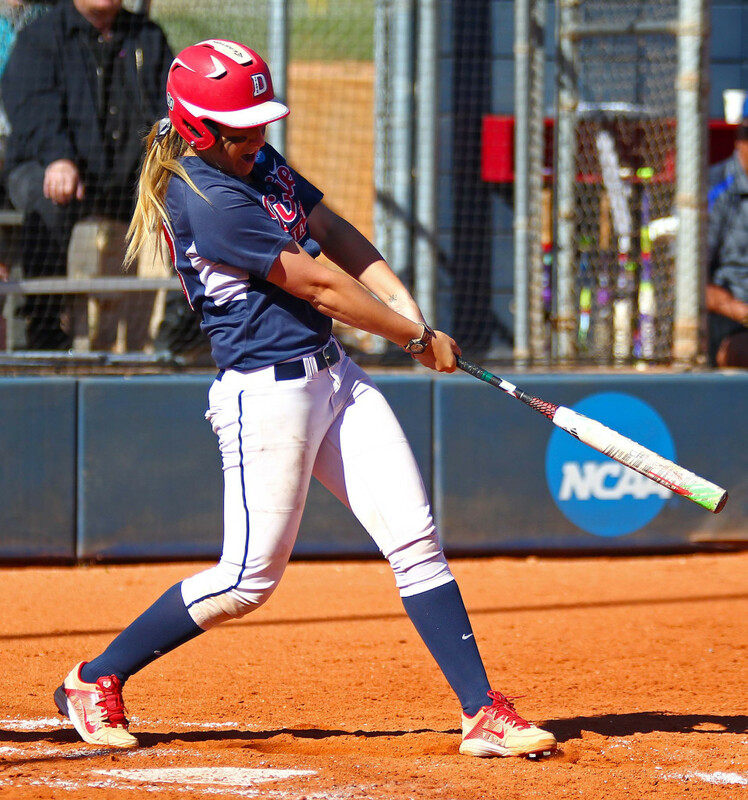 Woodfall then hit her second home run, this time to left center, to bat in two runs. In the sixth, Brooklyn Beardshear led off with a double. Kaitlyn Delange came in as a pinch runner. Kristie Johnson then doubled in Delange. Josey Hartman ended the game by doubling in Johnson. 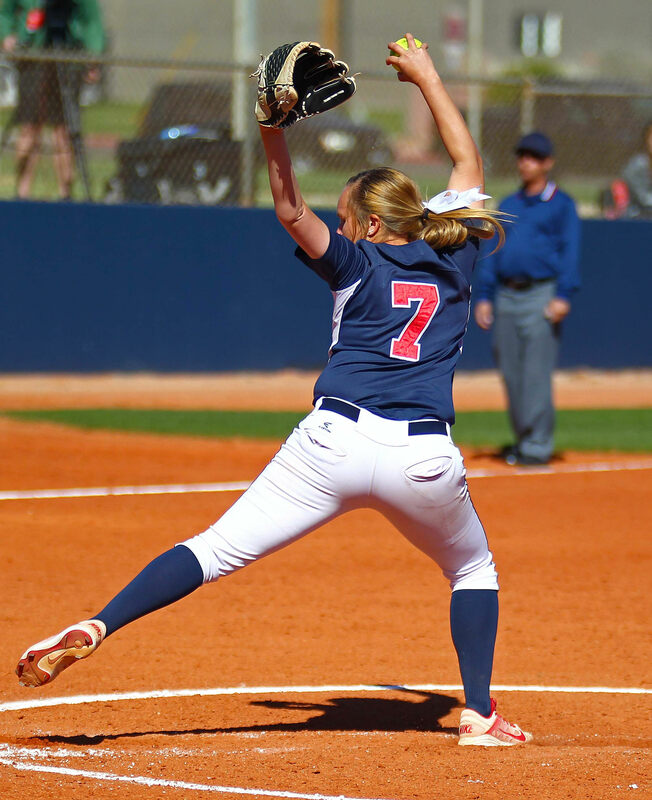 Feickert earned the win to improve to 13-3, matching her season-high of 11 strikeouts en route to the no-hitter. She walked three batters. None of her walks made it to second base. The score progressed much differently in the second game. The Storm jumped out to a 7-0 lead in the first inning. Gonzalez drew a walk, followed by a Paulson single and a Woodfall walk. 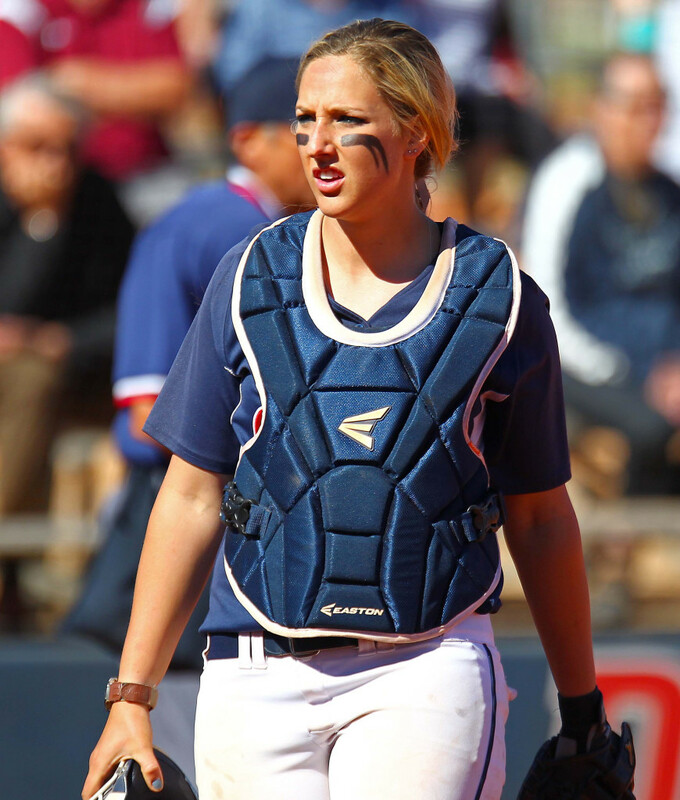 With the bases loaded, Bailey Gaffin belted a three-run triple to center field. Beardshear then slammed a two-run home run to left field. Johnson then singled and stole second. Hartman struck out for what would have been the third out, but reached first on a passed ball. Bassett then reached on a fielding error to load the bases. Yung capped the seven-run inning with a two-run single to center field. The Storm would add three more runs over the next two innings to make it 10-0. The Silverswords finally got on the scoreboard with four runs in the top of the fourth inning. 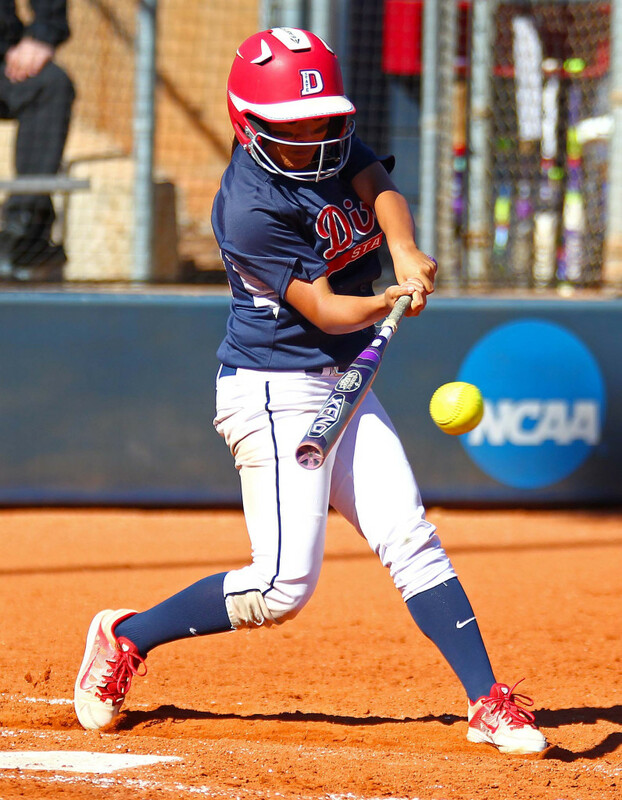 Three of those came off a home run by Keani Passi. Passi, who won several accolades earlier this year in volleyball, hit the ball over the center field fence. 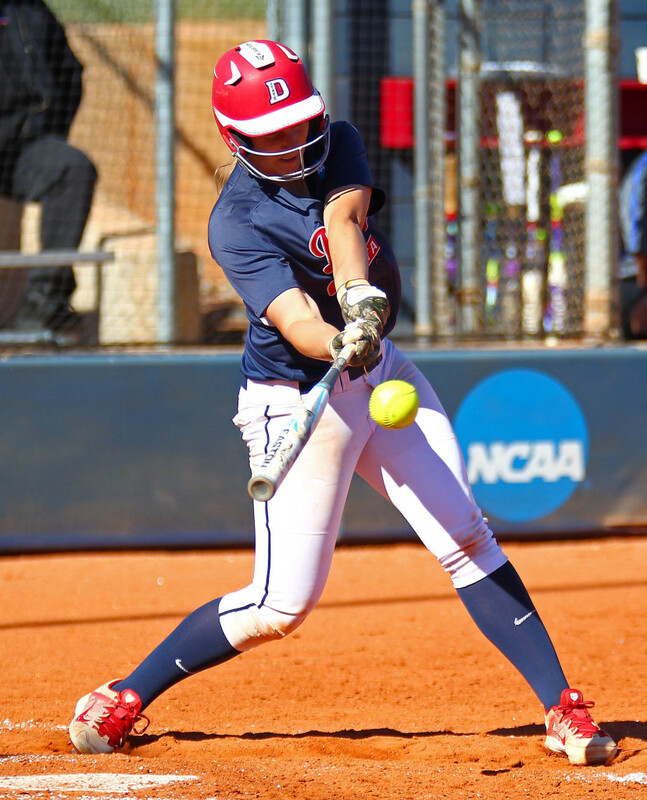 The Red Storm extended the lead in the bottom of the fourth inning. Kaitlyn Delange, Gonzalez, Summer Simkins, Gaffin, and Madi Dove each recorded at least one RBI as the Storm scored six runs on five hits. 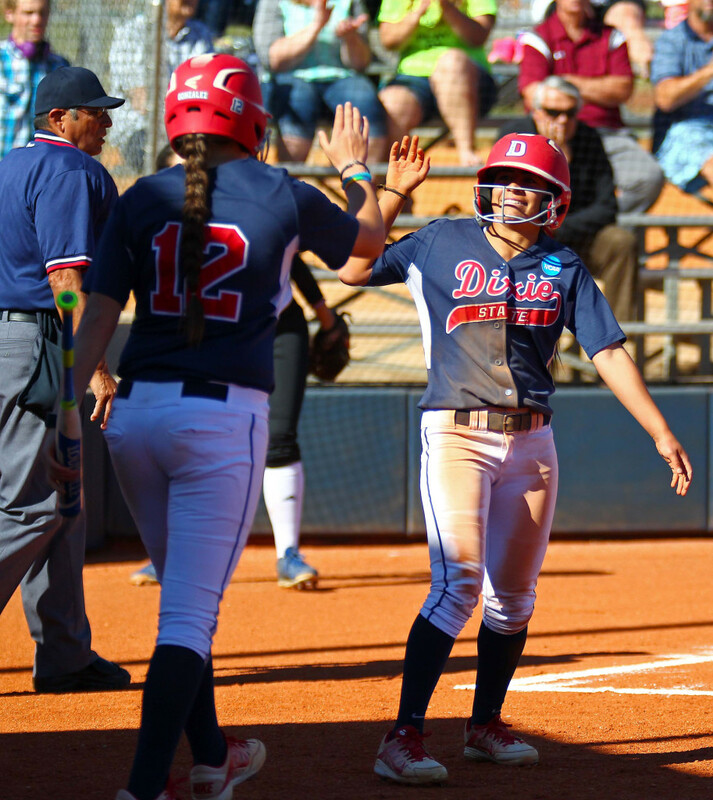 Dove finished the game by striking out two in relief in the top of the fifth. Beardshear earned the win, striking out four with no walks to improve to 8-2. 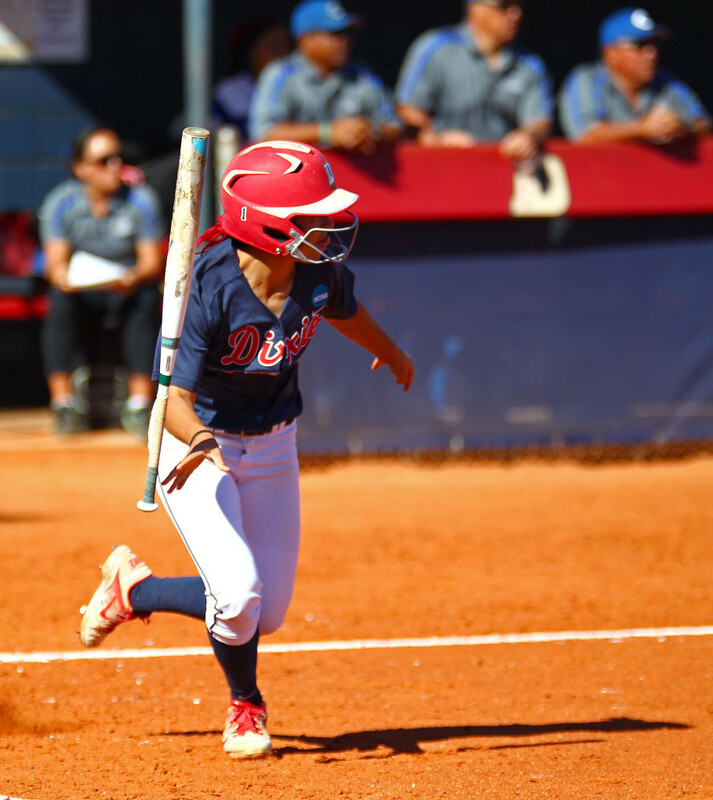 Dixie State will host PacWest Conference front runner Hawai’i Hilo next Wednesday at 3 p.m. at Karl Brooks Field.